If you are interested in purchasing a home in Illinois, but need down payment assistance there are options. To get Illinois down payment assistance program, you may want to check out the Illinois Housing Development Authority. Organizations that may have information on down payment assistance available to home buyers include the Illinois League of Financial Institutions, the State of Illinois, and the Illinois Association of REALTORS just to name a few. Although there are quite a few organizations that can provide down payment assistance, funding is sometimes limited and is often offered on a first-come, first-served basis. But don’t that let hinder you in your search for assistance. It will be well worth your time and effort to apply for the assistance programs that are available. When searching for down payment assistance, it is recommended that you know your particular home buying needs, know what makes your situation unique, and that you understand your financial situation. Your personal financial situation will determine which assistance programs will be most beneficial to your unique home-buying and your unique financial needs. In addition, you will save time by avoiding assistance programs for which you would not qualify. Often first-time home buyers have the best choices of down payment assistance, but they are not the only group for which assistance is available. Purchasing a home helps everyone from the home owner, the home builder, to the local economy, so providing financial assistance is a wise investment. If your dream is to own your own home, but you are hesitant because you are not sure that you can cover the down payment, there are Illinois down payment assistance programs if you are willing to look. HOME Homebuyer Assistance Program This Illinois down payment program offers assistance (up to $10,000 for Illinois down payment, and $2,000 in closing costs on the purchase of a first home), or combined purchase and rehabilitation assistance (a maximum of $40,000 in total costs). The acquisition assistance program offers help via a deferred, forgivable loan at 0 percent interest. The combined purchase and rehabilitation assistance program offers funding through a forgivable loan. To be eligible, home buyers must have incomes at or below 80 percent of the area’s median income, and they must occupy the home as their principal residence. Home buyers must contribute $1,000 to the purchase and must attend first time home buyer counseling. Home Program The @HomeIllinois mortgage program for first time home buyers. This is a 30 year, fixed rate mortgage that requires Illinois borrowers to pay 1 percent or $1,000 of the purchase price, whichever is greater. Buyers must meet income and purchase price limits, and must have a credit score of at least 640. They must live in the home as a primary residence and must complete a housing counseling program that is offered in both online and in person options. The program also offers other types of help to buyers, including: $5,000 in Illinois down payment or closing cost assistance (payment terms are 0 percent for 10 years, and Illinois borrowers who meet certain income limits do not have to pay back the loan), a federal tax credit certificate, lender paid mortgage insurance, a choice of loan type that includes FHA, VA, USDA or conventional. 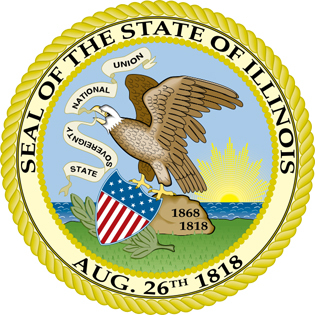 Illinois housing agencies are your best resource for down payment assistance programs. Through funding from HUD, the purpose of these agencies is to ensure that affordable housing is available for everyone. This entry was posted in Illinois and tagged down payment assistance, grants, housing authority, illinois, programs. Bookmark the permalink.